African elephant in dry land. Photo: Pixabay African elephant in dry land. Photo: Pixabay. World Elephant Day took place last Sunday to raise awareness of the threats that the mega-animal is facing. 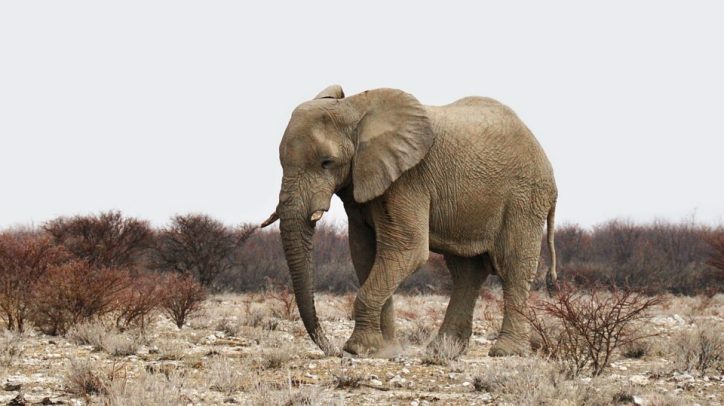 Speaking from Tanzania, the World Wildlife Fund’s (WWF) elephant expert, Dr Noah Sitati, explained to The Green News why their population has drastically decreased in recent years. Tanzania had one of the largest elephant populations in Africa but their population fell from 100,000 in 2009 to only 40,000 in 2014. The main cause, Sitati says, is poaching. However, in recent years, things have started to improve, he says, with poachers prosecuted and large penalties dished out. The WWF encourages people living around protected areas to embrace conservation and give information on any poaching activity. Yet, arresting the poachers is not enough on its own to quell the population decline of the majestic mammal. Sitati says that we need to figure out exactly where the ivory is going before we ca properly “dismantle the market”. Climate change also has a big impact on elephants and is another threat to their survival. In Kenya, hundreds of elephants are dying every year due to long and persistent drought, Sitati says. “If climate change continues to persist the way it is now… the baby elephants will succumb very fast. The big ones also lose their weight as there is less forest available for food,” he explains. WWF trains local communities to protect their farms against the animal, encouraging them to use chili oil around the fences as elephants don’t like the smell. Protecting elephants is also a way to conserve the ecosystem. In central African forests, up to 30 of trees require elephants to help with dispersal and germination. “If we lose elephants, then we will be losing those trees species because they will never be able to germinate again,” warns Sitati. The mega animal, weighing up to 6,000kg with large heavy tusks, can be fascinating for people to see. Although Sitati says he understands the excitement of people going to a zoo to see an elephant, “getting them out of there natural environment is not the best thing to do”. “Elephants in zoos are living in pathetic conditions from Africa to very cold countries. They are not well-cared for because the trees species they usually eat are not there. They can’t reproduce as fast as they are supposed to,” he says. A new study on Asian elephants revealed this month that capturing calves from the wild shorten their life. “Of course the young ones really suffer to acclimatize to the tough conditions out there. How do they survive in this sort of artificial conditions during winter?” asks Sitati.